Today, in cultures untouched by processed foods and modern living habits people are healthy, fit, and energetic into old age as you can see in the sparkle of their eyes and the grace in their bearing. 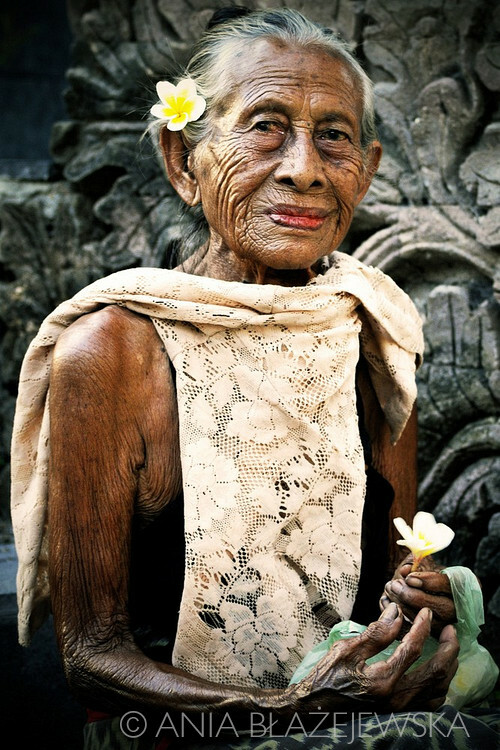 The portrait above from aniablazejewska.photoshelter.com is a perfect example of how we should age - beautifully, gracefully, and pain-free. For decades lifestyle wasn't something humans had to think about, they just did what was needed automatically. They got the proper food, exercise and rest that was required by following their instincts just like all animals do. However as we started to differentiate ourselves from other animals by increasing our mental faculties, we started to lose our physical ones. We started to work against our bodies instead of with them, which is why we now need to re-evaluate, go back to when things were working, and make the decision to go forward not only mentally but physically as well. In this life, everything we want to do we have to do with our bodies as well as with our minds. There is no other way. Therefore keeping both of these in top shape has to be one of our most important priorities, but it doesn't need to take up an excessive amount of time. The way I see it, health care, like taking care of the physical things we own, should be a necessary but complementary activity, and not the main focus of our lives. 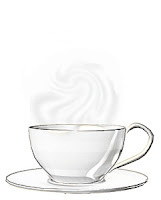 We want to be able to wake up each morning feeling great mentally and physically. Glad to be alive and ready to greet the day. And in order for that to happen we need to work out a system for ourselves that is quick, easy and once in place doesn't require a lot of thought so we can spend our lives doing the things that are really important to us. I, like many, have spent not just years but decades looking for the best way to do this. Unfortunately our society with it's focus on making money rather than protecting health, has not helped. It hasn't been easy to find the right information, and I have floundered in the dark as have many others. But thankfully everything in life has pros as well as cons. Even though our focusing on the intellect at the expense of the physical has created a world becoming more and more populated with sick and unhealthy humans, it has also given us the capacity to find the answers through the Internet, and that is how I found my answer. The Paleo lifestyle, specifically the version in the Primal Blueprint written by Mark Sisson, is the guideline I now follow. There are many versions of Paleo, and after researching several I believe Mark's is the most realistic when it comes to fitting in with how we live now. It is the perfect marriage between living by the healthy principles that have worked since man first evolved, taking advantage of the modern technology that we now have available to us, and allowing for our own imperfections as well as the parts of our lives that we don't completely control. 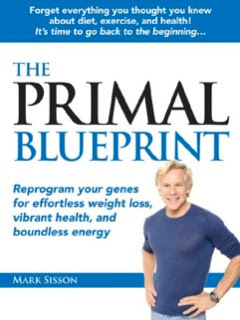 The Primal Blueprint is not a diet or just an eating plan. It's a lifestyle, and when you decide to take it up, you have to change not only what you eat but how you live. Mark says that what you eat makes up 80% of the composition of your body, so of course it is of prime concern, but there is also the other 20%. Some of that is genetic which we can't do anything about, but it's a surprisingly small amount. The rest is lifestyle and that we can change. So in this blog you will find me concentrating on three major things - Eating, Living and Growing. The eating part is of course our food, the living is all the other lifestyle factors that also need to be considered like exercise, rest, sunlight etc. Grow I see as having two parts to it. The first is another retreat into the past when the majority of people had a garden, grew their own food and medicinal plants, and were not at the mercy of large corporations and supermarkets for everything they put into their mouths the way we are today. I am not suggesting we go back to living off the land. That is not only impractical for most of us but unnecessary. What I am suggesting is that we take the best of both world and marry the advances of the present with the knowledge of the past. 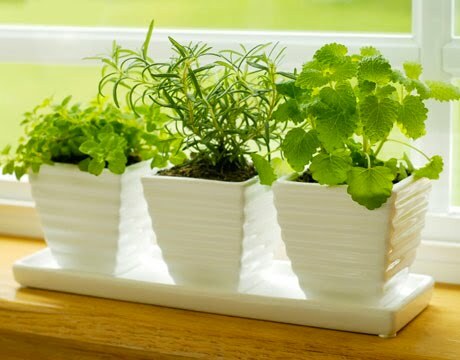 And maybe, if you live in an apartment or condo, that just means having a few pots of pesticide-free fresh herbs on your windowsill to add to your Paleo meals, but it's a start to taking back control. I believe we can change our lives in many small but significant ways that will allow us to do that. Grow is also grow mentally and spiritually, because there are only two choices in life - grow or die. Mankind has evolved because he chose to grow and live and develop his brain, and if we want to live successfully we need to keep developing ours as well by constantly learning, thinking and creating. Making these three parts of the Paleo lifestyle as easy and automatic as possible, in order to give us back the freedom to fully concentrate on what we consider important in our lives, is what this blog is all about. I am not a doctor or a dietitian. I am not qualified to give medical advice and that is not my intention. 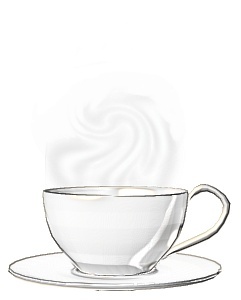 But I have had a lot of varied experience in my life. At various times I worked as a caterer, systems analyst, decorator, professional organizer, and also grew a huge home vegetable garden which fed a growing family and friends. These might all seem to have nothing to do with one another and certainly nothing to do with Paleo living, but if you think that you are wrong. Working in these areas has given me a unique qualification - taking broad complicated systems and ways of doing things and making them as simple as possible - and that is what my aim is with this blog. 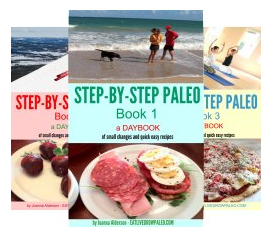 For Paleo to be successful on a broad scale it not only has to be the proven right way to live, it also has to be quick, simple and easy, or most people won't bother even trying. So I am going to take what I learn, analize it and keep only what is relevant, and then show how that information can be used to quickly and efficiently create the end result we want - a healthy body and mind. And I have to admit my reasons are purely selfish. I am doing this first and foremost as a reference for myself so I can continue to improve and be the example I want to see in the world. I am also doing it as a way to pass on the knowledge that I have accumulated (and continue to accumulate) to my children and their children, so that this does not get forgotten again and they don't need to keep re-inventing the wheel. And lastly, if along the way I can also help any others who find themselves floundering in the sea of information we live in, then I will feel that I have made a contribution to spreading the Paleo word, and that will be a marvellous bonus. Knowledge is all around us now and more available than ever. That is only a good thing if we know how to make it work for us. I want to make it easier to differentiate between that which is relevant and worth incorporating and that which can be let go. I want to use that information to create systems that work for me and hopefully for others as well. Systems that allow us to maintain healthy bodies so they can become our most important tool in creating the lives that we want to live.